Welcome to Wednesday, the mid of the week. We hope you are on course with your duties and working towards the realization of your dreams. We continue to bring you update on the extractive sector. The Business Finder reports on the ExxonMobil deal. The story cautions the government, parliament, civil society actors and citizens to be extra cautious in the deal. The story has it that there is absolutely no doubt that Ghana’s petroleum sector is experiencing a boom, especially after the favourable ruling of the special chamber of the International Tribunal on the Law of the Sea (ITLOS). Indeed, investment analysts were unanimous in predicting a boost in Ghana’s economic fortunes. “We believe that Ghana is going to see a return of theinvestments suspended by the decision and a lot of interest from major players in the upstream oil and gas sectors,”Chief Executive Officer of C-ENERGY, Mr Michael Cobblah says in his outlook for 2018. Ghana is set, therefore to attract some of the world’s oil majors- the likes of ExxonMobil (soon to start operations in Ghana), Chevron, BP, Shell and Aker into the oil and gas industry. 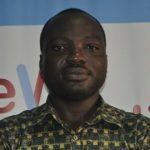 Keep on visiting our site www.reportingoilandgas.org for more news in the extractive industry.